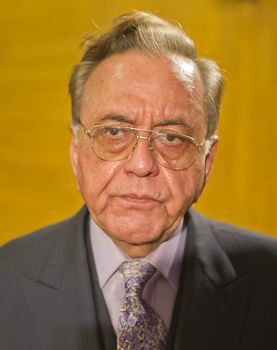 Khurshid Mahmud Kasuri served as foreign minister of Pakistan from 2002 to 2007. A career politician, Kasuri helped draft a bilateral agreement that could have ended the animosity between India and Pakistan. The agreement, which was worked on by president Pervez Musharraf and prime minister Manmohan Singh, was aimed at finding an answer to the Kashmir question. But, it was never signed or was made public. How will Imran Khan shape relations with India? Imran Khan mentioned India in his first speech just after the elections. Why would he talk of India, if he felt that the subject was such dangerous territory? So, if he took the ‘risk’ of mentioning India and emphasised the need for improving relations with it, it means that it is an important consideration for him. If you look back, when he last visited India, he was asked about my book Neither a Hawk nor a Dove. He suggested, on more than one occasion, that he agreed with the solution given therein. Of course, he mentioned Kashmir [in his post-poll speech]…. The current situation [there] is unsustainable. I don’t think he has made an impossible demand on India by saying that we need to talk on Kashmir, as some hardliners in India are suggesting. You will have to talk about Kashmir. Leaders of both major parties in India have admitted it on different occasions. Vajpayee did so. Manmohan Singh went ahead with it. Even Narendra Modi, by visiting Lahore, had indicated that Kashmir needed to be resolved. Everybody realises it—Kashmir will not be resolved without talking to Kashmiris or Pakistan. I would like to contest the belief of many Indians that the army would never allow peace between India and Pakistan…. Now, it [the belief] makes one or two assumptions. First, it assumes that the Pakistan army is very insecure, and that it needs some sort of an enemy in India for it to be accepted in Pakistan. This is not really true…. Things with India have largely improved when the military was directly in control. Most informed people know the details of the progress made by the two countries during the tenures of Ayub Khan, Zial-ul-Haq and Musharraf…. The peace process that I was able to follow in my tenure, when Gen Musharraf was president, [would not have reached as far as it did] if the army had been so opposed to the peace process as well as to the envisaged framework of the Kashmir settlement. Musharraf would not have been able to get away with it without having the corps commanders and the Pakistan army behind him. So, I am certain that the army will accept a negotiated solution on Kashmir, provided it is an honourable settlement. There is a general feeling, in Pakistan and in India, that Imran is the army’s puppet. Those who know Imran Khan also know that he cannot be anyone’s puppet. Unfortunately, in Pakistan, every election is questioned by the losing party. Every single election. So, there is nothing new about what is happening now. Will the army let him find a solution? The question again assumes that there is a fundamental difference in approach between Imran Khan’s thinking and the military’s thinking on Kashmir. I don’t think so. India is a status-quo power on Kashmir. It is, therefore, assumed by some in India that any solution on Kashmir will be at India’s expense. Thus, it is not unnatural for such people to be hostile to Pakistan’s army. But, the current status quo is harming India’s polity as well as its international image. You talked about Musharraf having the army on board. Nawaz Sharif could not manage it. How will Imran? It was the way that Mian Nawaz Sharif dealt with things generally. Had he adopted a professional, more institutional approach—for instance, [holding] regular meetings of the cabinet committee on security—this situation would have not arisen. He felt he could do it on his own, and that he did not need a consultative process. He did have meetings with the army chief regularly, but these were more in the nature of photo-ops. Look at the manner in which Modi’s visit to Lahore was handled. I was one of the few in Pakistan who welcomed that visit, because I have always believed that there is no substitute for talks and a sustained peace process. Such visits need to be handled with great care. Both parties were guilty. First, Modi blasted Pakistan in Kabul, which was only an hour away by air from Lahore. To make matters worse, Nawaz Sharif treated the visit as a personal affair. The adviser on foreign affairs was not present, nor was the adviser on national security or the foreign secretary or anyone of any consequence. Instead, the Indian prime minister was taken to a private wedding. This is not how relations are conducted. You can have all this bonhomie on a personal level. I have many friends in India, as does Imran Khan, but that doesn’t mean that when you conduct state relations, there are no note-takers. The reason Modi’s visit failed was that it was badly conducted on both sides. I hope Imran Khan will do nothing of the sort.